Author 3rdCultureChildrenPosted on May 5, 2017 May 5, 2017 Categories BRASIL, en Español, expat, foreign service, humor, photographyTags celebration, cinco de Mayo, cooking, FOOD, homemade, instagram, latino cuisine, lemon pie, mexican food, MexicoLeave a comment on From our Mexican-American-Brazilian household to yours: Happy Cinco de Mayo! 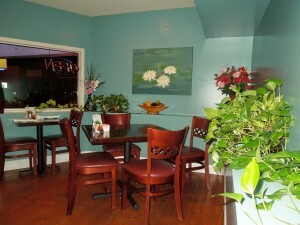 Date Night & Thai Cuisine in Rehoboth Beach, DE. Chef and Owner Lily Thamibutra worked at her sister’s restaurant, Seaside Thai (now closed for good), for 5 years before venturing out to create Lily Thai. It’s located on First Street, right next to the original Nicola’s, where Dos Locos used to be many (many) years ago. They have (finally!) acquired their liquor license, so no more BYOB. Pony up for a nice cold beer or some wine. 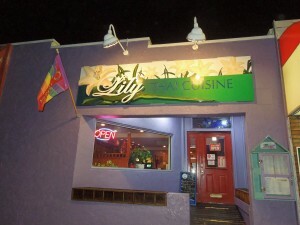 In spite of how long it took to get the nod for booze, Lily’s has already earned a reputation for authentic Thai food served up in pleasing, if not austere surroundings. The signature dishes are the Pad Thai (with chicken or shrimp) and the Tom Yum soup (chicken or shrimp with lemon grass and cilantro). . 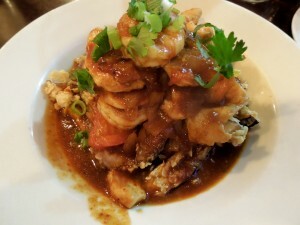 Author 3rdCultureChildrenPosted on July 16, 2012 July 16, 2012 Categories FOOD, photography, post a dayTags cooking, FOOD, postaday, Rehoboth Beach, thai cuisine, Travel, vacation, World Cuisines7 Comments on Date Night & Thai Cuisine in Rehoboth Beach, DE. Eating on a budget: economy restaurants for local food lovers in Recife! You may be on a budget, but eating well is still possible in Recife. This listing of places to eat covers only restaurants. There are many traditional style restaurants, but Brazil also offers self-service restaurants where you pay by weight. Such restaurants are very popular, especially at lunchtime, but be sure to arrive early to get a good choice. Lunch here starts at 12.00 and popular places will have little left after 1.30pm. The price per kilo varies according to the range and quality of the offering, and by the location of the restaurant. Most shopping centers have food courts with a mix of fast food and self-service restaurants. On the whole we would suggest that the food is over-priced and lacks quality compared to other options outside the shopping centers. Stand-alone restaurants in shopping centers are better quality, but also tend to be over priced compared to similar establishments in other street locations. Chinese food in Recife is cheap, as it is in many countries. You do get what you pay for and, for the most part, are not recommended. However, Japanese food is very popular and generally of good quality. Many better self-service buffets also include sushi in their offering. Author 3rdCultureChildrenPosted on March 28, 2012 January 15, 2013 Categories BRASIL, FOOD, resourcesTags FOOD, foodpress, living in Brazil, Recife, restaurants23 Comments on Eating on a budget: economy restaurants for local food lovers in Recife! Sunday is for food! Gastronomic event and islander cuisine. Enginneer Leonardo Veras, our host. Author 3rdCultureChildrenPosted on March 11, 2012 January 15, 2013 Categories ARCHIPELAGO, beach, post a dayTags cuisine, Fernando de Noronha, FOOD, foodpress, living in Brazil, postaday, Travel5 Comments on Sunday is for food! Gastronomic event and islander cuisine.